– August 29, 2012Posted in: Get A FitLife!, SusieQ FitLife Breaking News, SusieQ FitLife Updates! Soda Versus Alcohol! What's More Deadly? What’s More Deadly… Soda vs. Alcohol! We have an answer for you – SODAS! Sounds amazing, right? Now listen up: There is no epidemic of alcoholism in this country, and there is a real epidemic of adult and juvenile diabetes, obesity, heart diseases, cancers and other health problems caused by sodas. Alcohol drinks are sold on certain times only, prohibited for sale near churches, limited by age restrictions, can’t be openly consumed on the streets, in the parks, on the beaches, nor during transportation. The danger of consuming alcohol by pregnant women is openly and mandatorily stipulated on every bottle of alcohol sold in this country. Alcohol in moderation is not dangerous, red wine, also in moderation, is considered beneficial due to its anti-oxidants and resveratrol. In comparison, sodas are omnipotent and omnipresent. They are everywhere. They are consumed massively by young children, elderly, healthy people, sickly people and even by pregnant women; without any warnings or prohibitions! But they are deadly! All sodas are “empty” and worthless for your body, often addictive or plain dangerous! 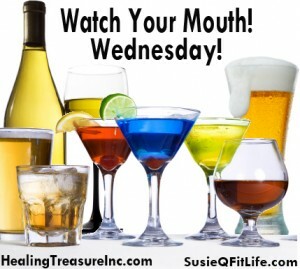 Lets repeat it again – ALL sodas are worthless for your body; often addictive or plain dangerous for your health! That is why we will focus mainly on SODAS. Juice based sodas usually have very little juice contained. Supplemented beverages with vitamins or flavored water such as “vitamin type of waters” have such a negligible amount of vitamins that your body does not see any difference. Soda Pop (or carbonated soft drinks) has an alarming amount of sugar, calories and harmful additives in it that have absolutely no nutritional value. Studies have linked soda to osteoporosis, obesity, tooth decay and heart disease. Despite this, soda accounts for more than one-quarter of all drinks consumed in the United States and we wonder why we can’t lose weight and incur health problems. We encourage illness and diseases little-by-little every day by NOT preventing their cause. We know better! 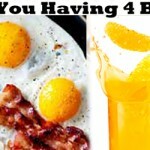 We try to fool ourselves, but our bodies’ cells can’t be fooled by what we put in our mouths! “Watch Your Mouth!” Next time you look at a can of soda pop, take note of the ingredients and smarten up for the good of your own FitLife! Think about the healthy future lifespan of your own children & grandchildren. 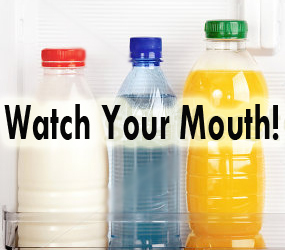 What you are about to read should turn you away from sodas altogether. Aspartame: This chemical is used as a sugar substitute in diet soda. There are over 92 different health side effects associated with aspartame consumption including brain tumors, birth defects, diabetes, emotional disorders and epilepsy/seizures. Further, when aspartame is stored for long periods of time or kept in warm areas it changes to methanol, an alcohol that converts to formaldehyde and formic acid, which are known carcinogens. Caffeine: Caffeinated drinks can cause jitters, insomnia, high blood pressure, irregular heartbeat, elevated blood cholesterol levels, vitamin and mineral depletion, breast lumps, birth defects, and perhaps some forms of cancer. Teenagers and children, are the largest consumers of soft drinks and the products are marketed towards this young demographic target audience. In the past 10 years, soft drink consumption among children has almost doubled in the United States. Teenage boys now drink, on average, three or more cans of sodas per day and 10 percent drink seven or more cans a day. The average teenage girl drinks more than two cans a day and 10 percent drink more than five cans a day. That’s scary, very scary! Okay, so most enlightened consumers already know that colas contain a fair amount of caffeine. It turns out to be 35 to 38 milligrams per 12-ounce can, or roughly 28 percent of the amount found in an 8-ounce cup of coffee. But few know that diet colas — usually chosen by those who are trying to dodge calories and/or sugar — often pack a lot more caffeine. A 12-ounce can of Diet Coke, for example, has about 42 milligrams of caffeine — seven more than the same amount of Coke Classic. A can of Pepsi One has about 56 milligrams of caffeine — 18 milligrams more than both regular Pepsi and Diet Pepsi. Even harder to figure out is the caffeine distribution in other flavors of soda pop. Many brands of root beer contain no caffeine. An exception is Barq’s, made by the Coca-Cola Co., which has 23 milligrams per 12-ounce can. Sprite, 7-Up and ginger ale are caffeine-free. But Mountain Dew, the curiously named Mello Yellow, Sun Drop Regular, Jolt and diet as well as regular Sunkist orange soda all pack caffeine. But recent blind taste tests conducted at Johns Hopkins Medical Institutions in Baltimore found that only 8 percent of regular soft drink consumers could identify the difference between regular and caffeine-free soft drinks. That’s why the great popularity of caffeinated soft drinks is driven not so much by subtle taste effects as by the mood-altering and physical dependence of caffeine that drives the daily self-administration. The unknown could be especially troublesome for the developing brains of children and adolescents. Logic dictates that when you are dependent on a drug, you are really upsetting the normal balances of neurochemistry in the brain. The fact that kids have withdrawal signs and symptoms when the caffeine is stopped is a good indication that something has been profoundly disturbed in the brain. Even so, there’s been concern among the research community, public health officials and government agencies over the high phosphorus content in the US diet. Phosphorus — which occurs naturally in some foods and is used as an additive in many others — appears to weaken bones by promoting the loss of calcium. With less calcium available, the bones become more porous and prone to fracture. There’s growing concern that even a few cans of soda today can be damaging when they are consumed during the peak bone-building years of childhood and adolescence. A 1996 study published in the Journal of Nutrition by the FDA’s Office of Special Nutritionals noted that a pattern of high phosphorus/low calcium consumption, common in the American diet, is not conducive to optimizing peak bone mass in young women. A 1994 Harvard study of bone fractures in teenage athletes found a strong association between cola beverage consumption and bone fractures in 14-year-old girls. The girls who drank cola were about five times more likely to suffer bone fractures than girls who didn’t consume soda pop. Besides, to many researchers, the combination of rising obesity and bone weakening has the potential to synergistically undermine future health. Adolescents and kids don’t think long-term. But what happens when these soft-drinking people become young or middle-aged adults and they have osteoporosis, sedentary living and obesity? A study published in the Journal of Clinical Endocrinology and Metabolism suggested that fructose, a sweetener found naturally in fruit juice and typically used in concentrated amounts in soft drinks, may induce a hormonal response in the body that promotes weight gain. 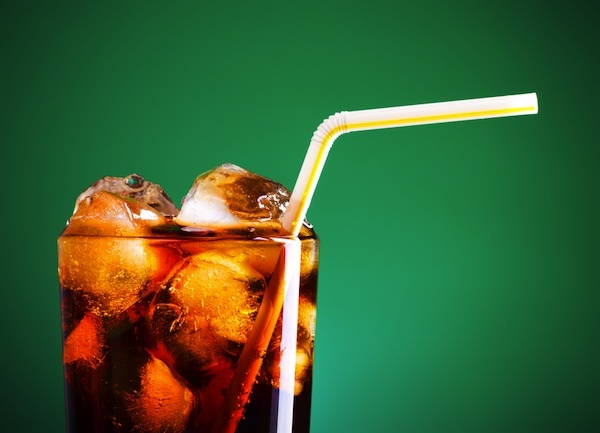 Soft Drinks, especially light-colored drinks, and canned iced tea appear to “aggressively” erode teeth enamel in laboratory tests—and it didn’t matter whether they were diet drinks or regular ones, according to a study published in General Dentistry. This startling statistic is another product of our increasingly nutritionally devoid, food-additive-laden processed diets. The number of kids treated in U.S. hospitals for high blood pressure nearly doubled from over 12,660 in 1997 to more than 24,600 in 2009. The researchers speculated that the biggest factor behind the massive increase is the corresponding rise in childhood obesity. Unfortunately, children often mimic their parents, and without a positive role model for healthy diet and exercise, may fall into the same traps that many adults are finding themselves in. According to Susie Q Wong, ARMED Celebrity Fitness Trainer, it is absolutely crucial for people to make their own decisions in order to experience long-term success in changing habits to live a more active & balanced FitLife! Our First Lady believes “The government doesn’t have all the answers. A problem that’s this big and affects so many people requires everyone to step up. There’s no one-size-fits-all solution for the country’s health challenges.” Says, Michelle Obama and we agree that learning how to “Watch Your Mouth” can lead to major changes. Plain & Simple –NO SODAS! STAY ACTIVE, HEALTHY & Get a FitLife! By Healing Treasures Inc.‘s Alexandr Choklin, pictured below with Dr. Qiqing Li & Susie Q Wong! Susie Q Wong, Dr.Qiqing Li & Alexandr Choklin at Healing Treasure Inc.